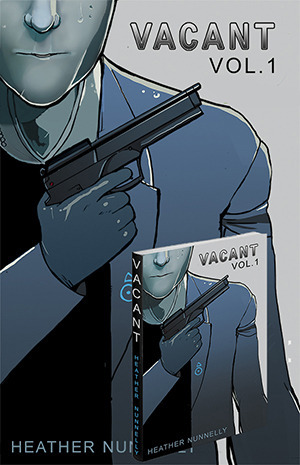 Vacant » Volume 1 Kickstarter has been launched! Volume 1 Kickstarter has been launched! The Kickstarter for Vacant’s graphic novel has launched! I am hoping that it will help print Volume 1 of the series. Volume 1 will have issues 1-6 in it with bonus material. There’s also a bunch of prizes, some at which are exclusive to the Kickstarter. So, if you are a fan of VACANT and want to support, please pledge! Share with your friends! Every dollar counts.